Do Foreigners Have Same Chance to Succeed in China as Locals? Thought in recent months, the Chinese government’s vast, and growing, inspection over the internet, social media and other areas in China may seem antithetical to the government’s policy of encouraging vast foreign investment. The largest sources of FDI in China are in the manufacturing sector (43.2%) and in real estate (20.9%), according to data from Santander in 2016. If foreign businesses want to operate effectively in China, they should understand the Chinese Communist Party and the government institutions well. Otherwise, what they find would be increasing barriers. 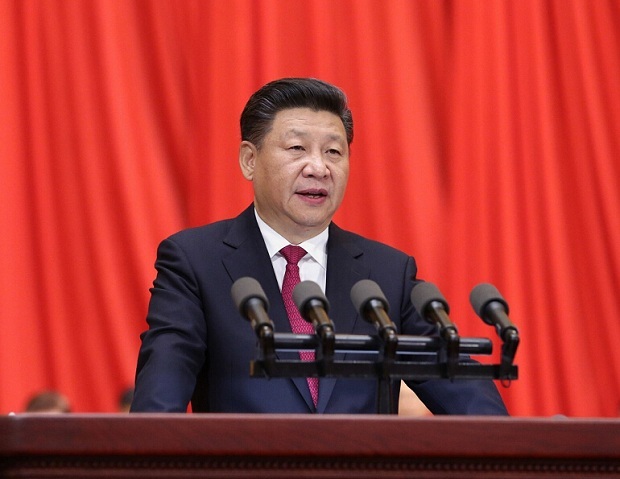 According to Xinhua, Mr. Xi jinping, was re-elected as China’s president, newly-elected President Xi steers China toward prosperity. “Foreign-invested companies in China should be treated objectively and fairly.”, “China’s door will not close to the world but open wider,” President Xi said. So, what is China’s attitude towards foreigners and overseas investments? More or less, China is protectionist sometimes because its policymakers believe that is ultimately the best policy for its main constituent, the Chinese people. It’s understandable, as many countries do so. Foreign businesses are not exactly high on the priority list when the government is setting up new policies. That said, when foreign businesses can offer something that is beneficial in some way to the Chinese people or economy, policymakers will take this into consideration. In certain sectors, China is protectionist for strategic reasons. In other sectors, there is a mix of strategic and business reasons to act protectionist. And in some other sectors, foreign firms are treated the same as local firms — but you still need “local” skills to be successful. There are even some sectors where foreign firms have certain advantages over local firms — because policymakers want to encourage investment. So it varies. Let’s take a deeper look at why and how certain protectionist policies play out in China. Defense/Military, Aerospace, the Telecom Network, the Power Grid, Oil & Gas Exploration, Media, Banking and the Railroad Network. These are industries that Chinese policymakers want tight control over for purely strategic reasons. In most of these sectors, Chinese state firms have monopoly or dominant market share and the leaders of these companies are appointed by the CCP, often rotated between firms. 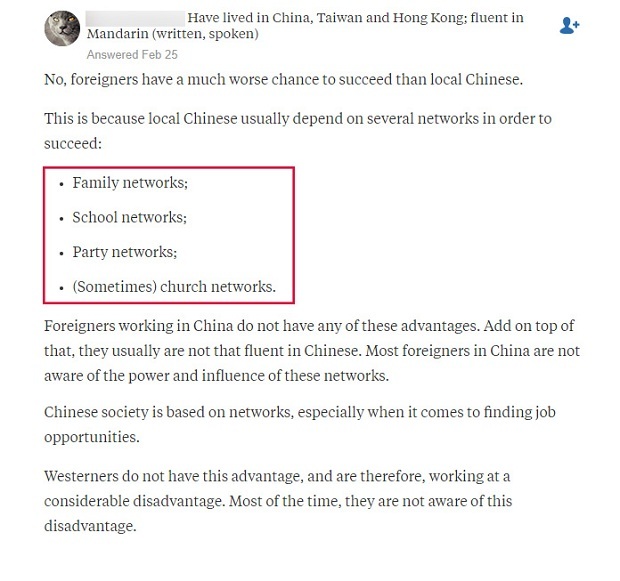 A good proxy list of the firms in this category would be the large State-owned Enterprises that are directly owned and managed by SASAC (State-owned Assets Supervision and Administration Commission). WeChat, WhatsApp, Skype, etc are what we call social media, media belongs to “Strategic” sectors to some extents, we may see the increasing control. Foreign firms can do business with State firms (e.g. selling equipment: General Electric Company selling wind turbines to a power generation company like Guodian) but if they want to go head-to-head, at best they will be allowed to be a niche player, like HSBC whose small network in China primarily caters to foreigners. Another way to participate in these sectors is by taking a small, passive minority stake where you might have some synergies (e.g. Bank of America’s 19% ownership stake in China Construction Bank around the time of its IPO). These stakes have proven to be highly lucrative in many cases, but don’t expect it to give you much influence in trying to break into the domestic market. Steel, Shipbuilding, Coal, Auto Manufacturing, the Internet, Consumer Finance, Renewable Energy, among others. These are industries that Chinese policymakers target to develop for a mix of strategic or business reasons. The business reasons are often related to job creation or some long-term goal often spelled out in the latest Five-Year Plan. For example, Chinese policymakers believe that the proliferation of wind and solar power are important to reduce the nation’s reliance on coal-fired power generation. China doubled its solar capacity in 2016 to 77 GW, accounting for about half of all global installations. By designating the solar industry as “quasi-strategic” China’s economy not only generates millions of jobs needed to absorb newly unemployed workers from other industries suffering from over-capacity, but it might be the only feasible way to reach its lofty targets. Auto manufacturing is another example: Chinese policymakers knew that auto manufacturing creates millions of high-quality jobs and that Chinese auto demand would eventually be huge — as a developing country, China would bankrupt itself trying to import tens of millions of cars from foreign countries, so it made perfect sense to develop its own capabilities, often leveraging partnerships with foreign firms. 1.Effective communications. As you might imagine, being able to communicate in Chinese, developing local relationships, navigating intricate distribution networks. 2.Good understanding local laws and knowing normal business customs. They are important if you want to be able to get things done. You are also effectively competing against a lower cost base, so your product/service offering must be significantly better in order to compete effectively. Hong Kong and Taiwanese companies are considered foreign firms just like foreign firms. As Hong Kong and Taiwanese businessmen are at much less of a natural disadvantage compared to their non-ethnic-Chinese counterparts, and yet many of them have been fantastically successful doing business in China across a number of these non-strategic sectors. Image: Googe. 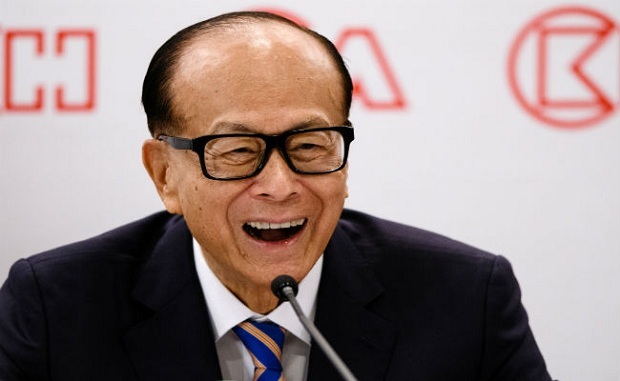 Hong Kong’s tycoon, billionaire Li Ka-Shing announced his retirement last Friday from the business empire he built over nearly seven decades. 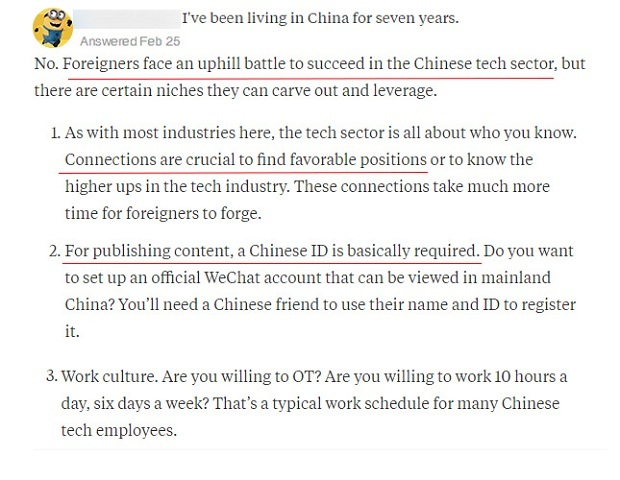 The locals are the key to help your business in China! Many foreign companies that tried to set up and run companies in China on their own failed. Mostly because they simply lacked the local skills needed to be successful. Communicating effectively in the local language, being familiar with local preferences, understanding Chinese business culture and being used to doing business under a system with less well-defined legal frameworks are the key factor to succeed. While China opens more markets for foreign investments, you should know how to seize the chance. To build up the business network in China, a competent local firm will be your good business partner. Will You Take This “Drive Through” BUS to HiTouch?